Abdominal wall surgery in the modern era has grown significantly in terms of complexity, with advancements in both technology and surgical technique. A thorough comprehension of clinical anatomy and physiology of the abdominal wall remains of paramount importance in the successful repair of ventral hernias and more for complex reconstructions. The abdominal wall comprises multiple layers including skin, subcutaneous tissue, fascia, muscle, and peritoneum. Each component plays a distinct role in the function of this anatomic unit. 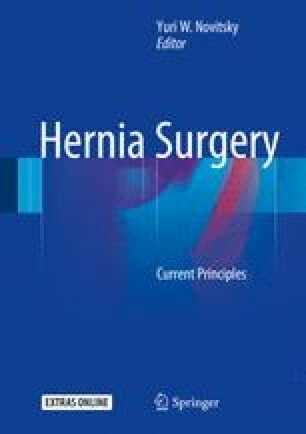 This chapter serves to review the basic anatomy and neurovascular supply of the abdominal wall, with attention to more subtle clinical findings and their implications for hernia repair and restoration of the linea alba.